I spent the better part of my Sunday afternoon battling with a thumb gusset for a fingerless mitt I’m working on. On my first sad attempt, I was increasing too rapidly and the stitches were all bunched up. 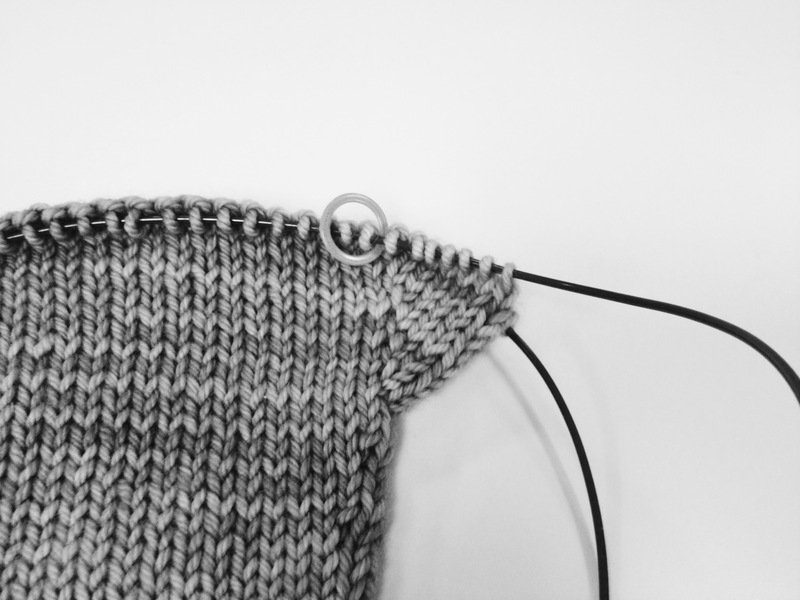 I probably shouldn’t even tell you the part about how my working yarn was clearly in the wrong spot when it was time to put the stitches on a holder…..
Take two is looking much more like an actual thumb gusset, thank goodness!